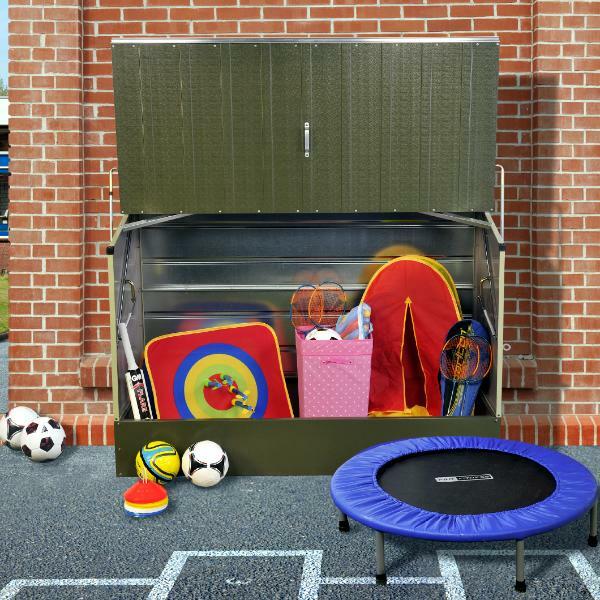 THE ONLY METAL SHEDS AND STORAGE ENDORSED BY THE RHS! 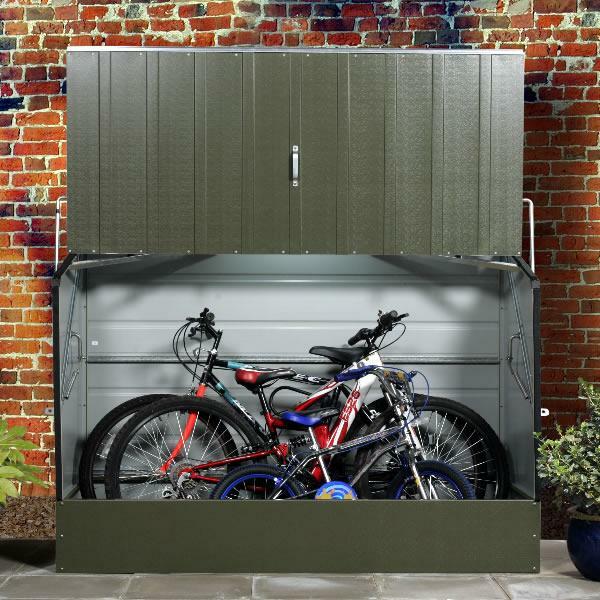 Most families now have a large selection of bikes that need somewhere to be stored when not in use. This can mean that your garden shed or outdoor buildings can become cluttered. 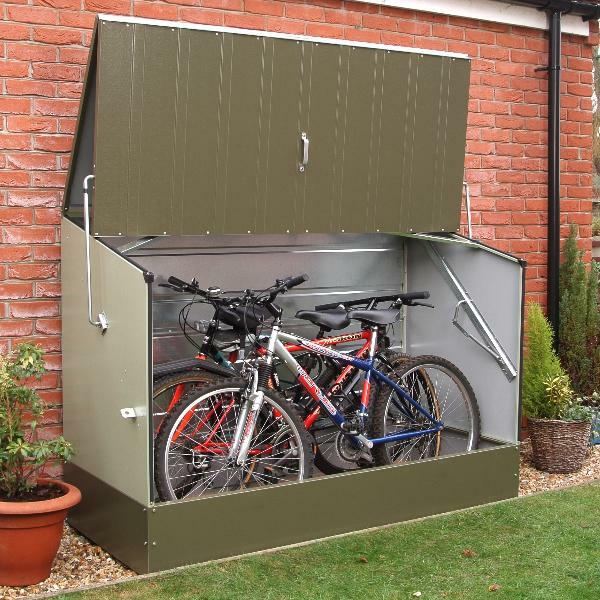 By using one of our Bike Store units, not only are you freeing up your shed space, but you are also making sure that your families bikes are locked away and out of sight! 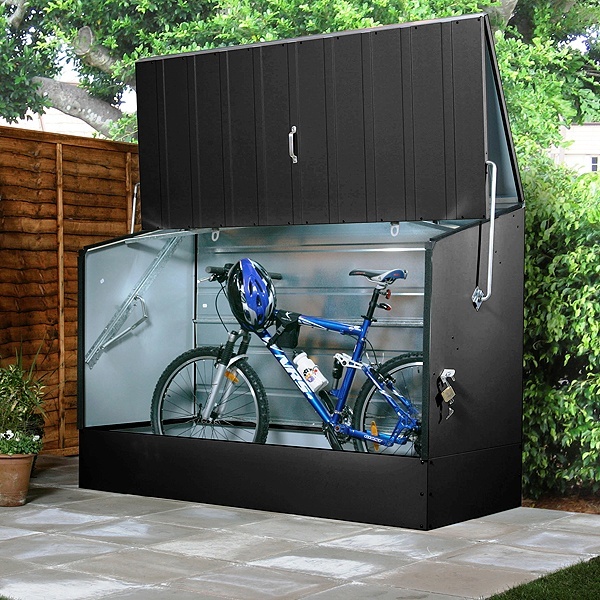 Each Bike Store unit is constructed from robust fire-resistant PVC coated steel and comes with a 25 year panel guarantee. 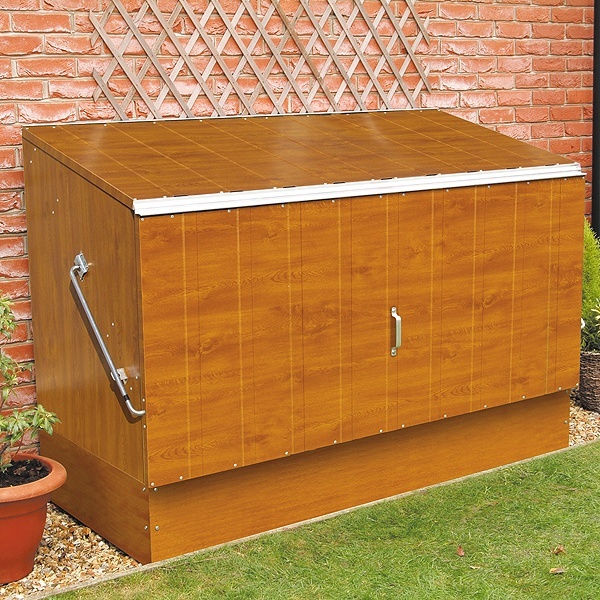 Not only are these units perfect for storing and protecting your bikes, but they can also be used for storing garden tools, outdoor furniture, mowers and power tools, bikes, toys and animal feeds. The Bike Store comes with full step-by-step installation instructions and is quick and easy to install. Once in place, your Bike Store is completely maintenance free. This is our entry level bicycle store which will comfortably secure three bikes and protect them against the weather. It's easy to use and to assemble, fire resistant,and guaranteed for 25 years. There are two padlock points as standard. Two colours, two tone green and cream, are available and there's the option of an internal floor too. For added security have a look at details of our Protect a Cycle or Protect a Cycle Professional. Showing the Bicycle Store closed. Who would guess you may have over £1000 worth of bikes in here ? OK, so it's called a bike store but it is a great place to store any garden items which are easily carried away ... or just to keep the garden tidy. This is the next grade up and has an integral metal floor and ground anchor. See details on a separate page. 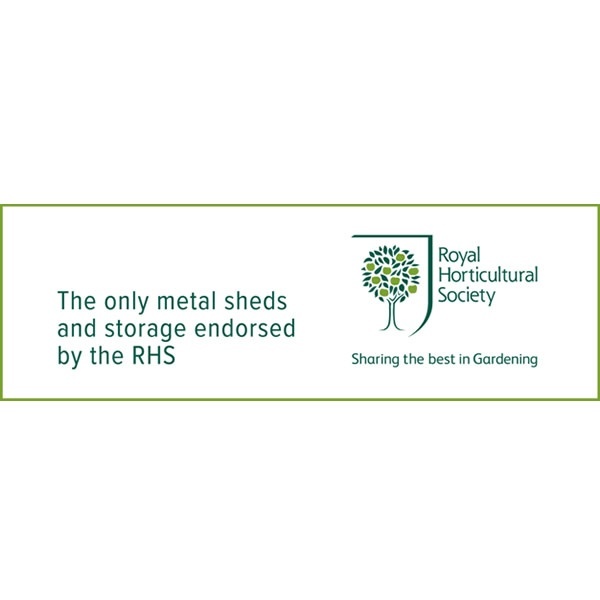 Trimetals are extremely proud and honoured to have its range of metal storage buildings endorsed by the Royal Horticultural Society. Trimetals unique designs, unsurpassed quality and long standing reputation for market leading superior products have been recognised by the RHS. After comprehensive audits and factory visits the RHS confirm that Trimetals product quality and service meet their strict criteria. 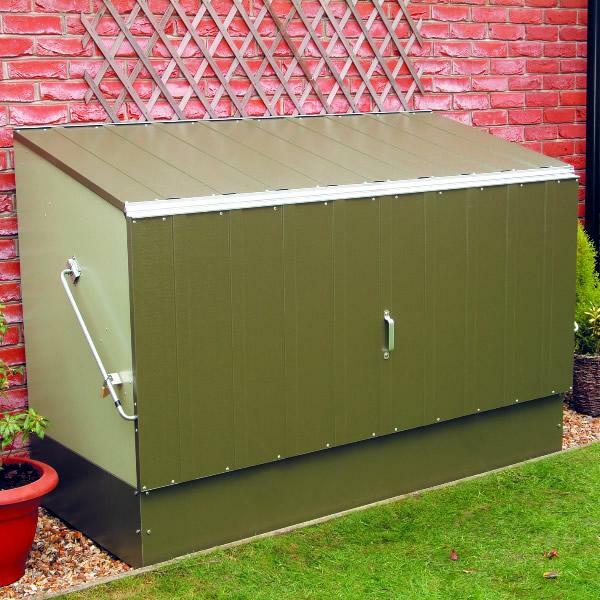 In fact Trimetals are the only manufacturer of this type of product to receive RHS recognition – “The first and only metal sheds and storage endorsed by the RHS”. Trimetals products have been manufactured in the UK since 1968 - exporting to most European countries and also the USA, Japan, Australia and New Zealand. Where Can I See TriMetals Sheds?